Less than one month after registration opened, Disneyland’s Tinker Bell Half Marathon has sold out. 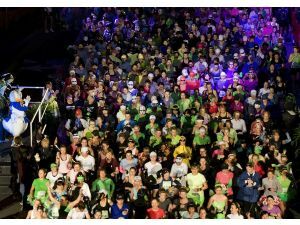 Registration opened June 12, but closed last Wednesday after 14,000 people signed up for the second annual race at Disneyland park. Despite regular slots being gone, runners can still sign up for the marathon through charity teams and tour groups. Additionally, spots are still available for the Family Fun Run 5k and kids’ races. Sources say that this has been one of the fastest sell-outs for a California Disney race so far. To sign up for a tour group or charity team spot, or for the family races, please visit runDisney.com.